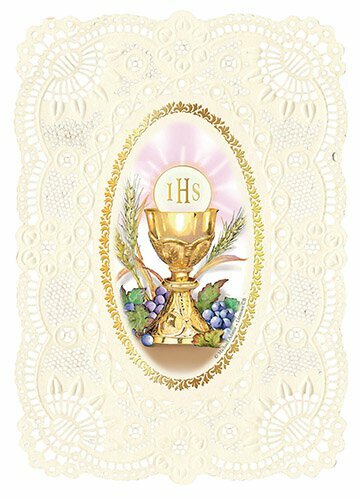 These elegant new holy cards feature the artwork of acclaimed artist Michael Adams on a delicately embossed and lace-punched card. Designed especially for occasions when a holy card tucked inside a greeting card as a special remembrance sends just the right message. Contains "On Your First Communion Day" on reverse side.